BONN, Germany-- German automakers including Volkswagen Group and BMW are bracing for new government measures to reduce vehicle emissions that could lead to costly fixes for diesel cars. In talks to form a new governing coalition, Chancellor Angela Merkel's conservative bloc and the Social Democratic Party, or SPD, are discussing plans for automakers to install new hardware in older diesel models to improve emissions. The move could upend a victory for the industry, which agreed in August to provide quick-and-cheap software upgrades and trade-in incentives aimed at improving air quality in cities seeking to stem growing smog. "We're in agreement with the SPD that driving bans must be avoided under any circumstances," Joachim Pfeiffer, lead lawmaker for economic policy for Merkel's Christian Democrat-Christian Social Union group in parliament, said in an interview after taking part in exploratory talks. "All options should be examined" during the upcoming coalition negotiations. Diesel vehicles' emissions have been under scrutiny since the September 2015 revelation that Volkswagen had programmed as many as 11 million autos to cheat on official pollution tests. 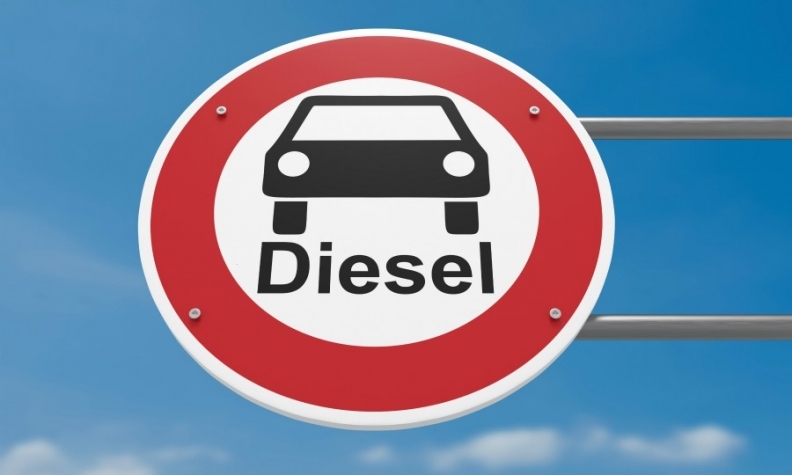 The issue is back in focus ahead of a ruling next month by Germany's top administrative court that could ban some diesel models from entering city centers as municipalities struggle to meet air-quality rules. Lawmakers and environmentalist groups had criticized the August deal, which also included Mercedes-Benz parent Daimler PSA Group's Opel brand, as being too soft on the industry. The coalition talks, expected to start as early as Friday, will address software and equipment-retrofit options, people familiar with the discussions said on condition of anonymity because the deliberations are private. Automakers are said to accept a more comprehensive upgrade as a show of goodwill to placate politicians and judges, even as any agreement is expected to be voluntary, according to two of the people. The Social Democrats and Merkel's bloc have "already discussed the need for technical retrofits on older diesel cars," SPD lawmaker Soeren Bartol said. "Owners of these older cars, who can't afford a new vehicle in most cases, must be able to drive into inner city areas. Coalition talks will now discuss details of this plan." Automakers have been pushing for refits to be limited to taxis and have sought subsidies to encourage car owners to upgrade their vehicles, two people familiar with the discussions said. Negotiations will address options for diesel cars meeting so-called Euro-4 and Euro-5 emissions standards, the people said. About 9.4 million vehicles built to those standards were on the nation's roads as of 2016, according to the latest available data from Germany's Federal Motor Transport Authority, or KBA. This week, a government expert report contradicted automakers on the effectiveness of a retrofit technical solution. Adding a so-called AdBlue tank would be possible in many models, at a cost of about 1,300 euros ($1,610) per vehicle, to cut harmful exhaust output by about 90 percent, Spiegel magazine reported, citing a study by Georg Wachtmeister of Munich's Technical University, who's also a member of the government's diesel task force formed in the wake of the VW scandal. Equipment installations have the potential to hit Volkswagen the most. Its popular Audi, Porsche and namesake VW brands accounted for 29 percent of cars in use in Germany in 2016, according to the KBA. The government should follow the Wachtmeister study's recommendations and move ahead with hardware fixes, Michael Theurer, deputy parliamentary leader of the Liberals opposition party said in a statement. "The latest results of the study will feature in the talks," added CDU-CSU parliamentarian Pfeiffer. "A software update is the preferred option. A hardware solution has to make economic, environmental and business sense."